No illustrations, because I imagine the icons and shapes transliteracies take (touchscreen, digital video, book, etc) will change, and quickly, but the basic concept, rendered in text, will remain. So my thinking behind this was just to be Justin and try something that I can do. 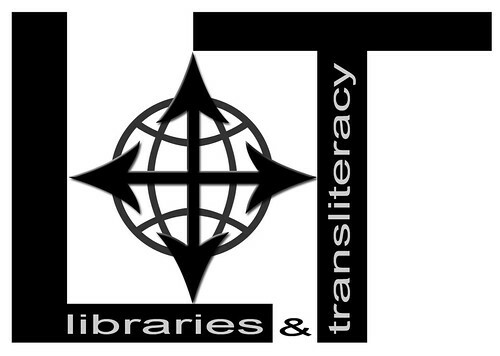 [tweetmeme source=”librarianbyday” only_single=false]Our latest logo contest entry comes from Andy Woodworth. 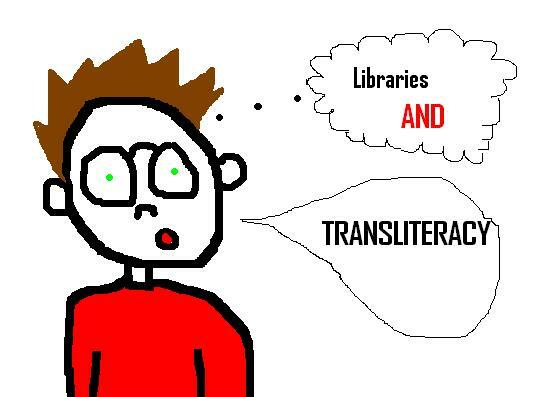 Andy has written about transliteracy several times on his blog Agnostic, Maybe.